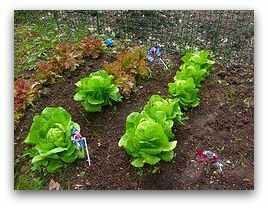 Easy tips for growing leaf lettuce in a backyard or container vegetable garden. 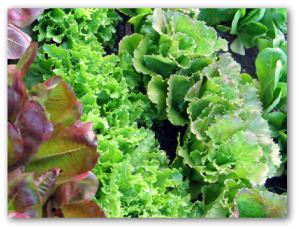 Learn how to plant, grow, care for, and harvest leaf lettuce plants in your home garden. If you are accustomed to eating iceberg lettuce, consider switching and try leaf lettuce. The loose-headed lettuces such as romaine and those in the butter group are much easier to grow and their green leaves are more nutritious than the heads that are blanched white. Like most garden vegetables, leaf lettuce prefers well-drained, rich soil. Two keys to growing lettuce successfully are providing plenty of water and gardening space. Thin successful plants vigilantly to 4- 8 inches apart because if the lettuce does not have adequate room to grow quickly, it will not grow at all. Thinned plants when in the four-leaf stage are readily transplantable to another row, or can be harvested and eaten as baby lettuce. This transplant ability makes the crop ideal for starting in flats before you can tend the garden. For succession plantings, plant every 3-4 weeks. Leaf lettuce is a hardy plant but prefers weather on the cool side. Flats, indoors or outdoors, should be kept at a temperature between 50 and 60 degrees for best results. 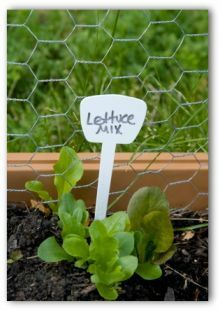 Leaf lettuce is easy to grow in a container vegetable garden. Plant seeds or transplants in a container following spacing and depth instructions on the seed packet or container. Fill a 3-5 gallon container with enriched potting or garden soil. Lettuce is one of the few garden vegetables that will tolerate light shade. Leaf lettuce will refill your salad bowl with fresh-picked greens many times over if you harvest only the lower leaves. Pinch the top off the center of growing leaf lettuce to keep it from flowering. If summer temperatures tend to be extreme, plant the Slo-Bolt variety, which is more heat tolerant than others. Plant 6-10 leaf lettuce plants per household member.Good garden bed companions for growing leaf lettuce are radishes, cucumbers, carrots, and strawberries. 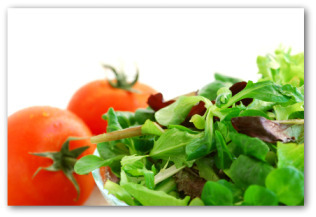 Recommended varieties include: Bibb, Grand Rapids, Dark Green, Romaine, and White Boston. The preferred soil pH for growing leaf lettuce is 6.5. Test soil for adequate levels of nitrogen, phosphorus, and potassium. Apply generous amounts of organic compost. Fertilize soil lightly before planting. Be careful not to over fertilize, which causes the leaves to be bitter tasting. Plant in very early spring through midsummer. When planting, leave a distance between plants of 6 inches. The space between rows should be 1 ½ feet. It is generally 30- 45 days to maturity. You can expect 160 bunches yielded from a 100 foot row. Keep soil moist and weed-free. Reduce overhead watering once the plants have reached 4 to 6 inches in diameter to prevent leaf blemish. Water in the early morning so that plants are completely dry by the time full sun shines on the garden bed. Avoid cutting the central growth bud when harvesting outer leaves. Harvest by thinning or cutting outer leaves 1-2 inches above the soil before leaves turn yellow or the plant bolts. Leaf lettuce can be stored in vegetable bin of refrigerator in an airtight container for several weeks. Hybrid plants often do not breed true from seed. 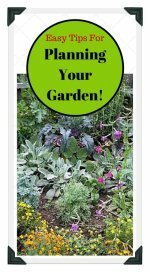 With non-hybrid plants, instead of buying seeds every year, collect and save seeds from the best vegetables you have grown in your garden to replant. Pick the best overall plants as your seeders. 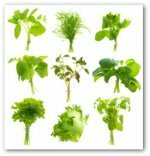 With crops such as leaf lettuce, where it is the leaves you want to harvest, select a plant that takes a long time to go to seed. Growing leaf lettuce cross-pollinates readily. If you want seeds to be true, grow only one species. After choosing which plants you want to save seeds from, wait until they bolt. The flower stalk develops in the fall. Once the stalk is mature, collect the seeds and allow them to dry for a day or so in the sunshine but bring them in at night to avoid dampness. With luck, you will have seeds in time for a late crop the same year or have plenty the following year. Store seeds in dry glass jar stored in a cool, dark place until the following season.